I feel that I work the best with the middle school/high school market, but I also enjoy working with motivated adults who perform in the community, either with theater or choral groups. I love helping singers find their voices and perform for their friends, family and the community, especially those who have never performed before. Introducing singers to unfamiliar and exciting repertoire, particularly by American composers, is a particular thrill to me. Christine Thomas, mezzo soprano, has performed everything from the motets of J.S. Bach to the melodies of Irving Berlin to the minimalism of Philip Glass. The Milwaukee Journal-Sentinel has called her voice “an amazing instrument.” The Washington Post said, “her voice is lovely and her stage presence is natural and full of vitality." 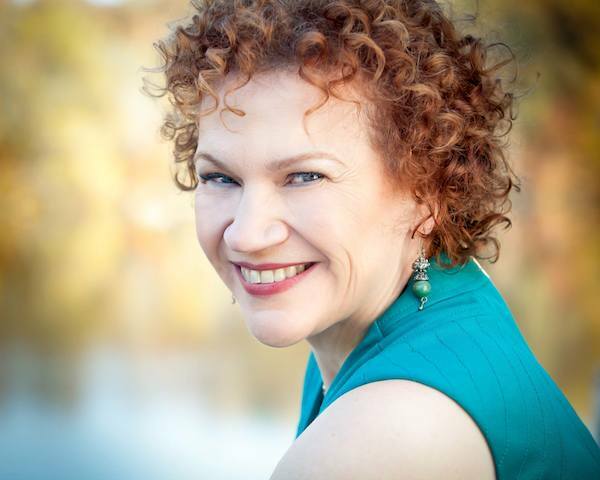 As a concert soloist, she has appeared in Prokofiev’s ALEXANDER NEVSKY with the Wheaton Symphony, Duruflé’s REQUIEM with the Bel Canto Chorus of Milwaukee, Debussy’s LA DAMOISELLE ELUE with Milwaukee Choral Artists, the C.P.E. Bach MAGNIFICAT with Washington Bach Consort, Haydn’s LORD NELSON MASS with the Handel Choir of Baltimore, Karl Jenkins' THE ARMED MAN with the Menomonee Falls Symphony, and on the pops series with the Milwaukee Symphony Orchestra. She has also sung Mark Brymer's THE CHRISTMAS SUITE with Milwaukee Children's Choir, which she also recorded. Her most recent performance was in the Hal Leonard Showcase at the 52nd National Association of Teachers of Singing Conference in Orlando, Florida, in which she performed the music of Benjamin Britten. Ms. Thomas is frequently in demand for contemporary music, particularly new compositions. She has a passion for performing and teaching music by contemporary American composers, including Jake Heggie, Sigmund Snopek, Ricky Ian Gordon, and Jeannine Tesori.As an opera singer and actress, she has appeared with companies such as Chicago Opera Theater, Opera Theater of Northern Virginia, Opera North, the Washington Savoyards, In Tandem Theatre, Windfall Theater, The Young Victorian Theater of Baltimore, and Skylight Opera Theatre. She created the role of The Woman in Red in Dominick Argento’s DREAM OF VALENTINO in its world premiere with the Washington Opera. Other roles include Dorabella in COSI FAN TUTTE, both Hansel and the Witch in HANSEL & GRETEL, and many roles in Gilbert & Sullivan operettas. Christine is particularly versatile, having been referred to by the Journal-Sentinel's Elaine Schmidt as giving a "tasteful interpretation" of Sigmund Snopek's song cycle, and one month later lauded as "the wildly randy Wanda Kazlakowski" in A CUDAHY CAROLERS CHRISTMAS with In Tandem Theatre. Ms. Thomas received an M.M. in vocal performance from the Peabody Conservatory in Baltimore, where she studied with Marianna Busching. She regularly attends master classes and workshops in both performance and vocal pedagogy, most recently completing certification in Levels I, II & III of Somatic Voicework™ The LoVetri Method at the Contemporary Commercial Music Voice Pedagogy Institute at Shenandoah University.In addition to an active performing schedule, Ms. Thomas teaches voice privately in Baltimore. She was selected to participate in the 2000 National Association of Teachers of Singing (NATS) Intern Program, where she worked closely with George Shirley and Shirlee Emmons. Her Wisconsin students were finalists and winners in the Wisconsin NATS auditions for 9 consecutive years. She has also been a contributor to Classical Singer magazine. She is currently an adjunct faculty member at Howard Community College and its community music school, The Music Institute.On recordings, Ms. Thomas may be heard on Mark Brymer's Christmas Suite with Milwaukee Children's Choir under the direction of Emily Crocker (available at Singers.com). Other recordings include Flight Box with Present Music and Cinq Poèmes de Tristan Tzara with Milton Peckarsky on a tribute CD produced in Bucharest, Romania. Somatic Voicework™ was the first method I found that reinforced my firm belief that singing is the coordination of natural functions in order to produce a healthy, attractive, and expressive sound. If there is any manipulation in the process, manipulation will be evident in the sound. This method gave me the specific tools to implement that belief further.